We all know that security vulnerabilities are common for software applications. Operating systems, web platforms, software utilities, and standalone programs can be infected with malware that can be used by hackers to control a particular device such as a computer or s smartphone. On the other hand, many people are not aware that hardware and firmware can also be hacked. This is because firmware and chips also have codes embedded in them. This means that chips can still communicate to a software application because of the embedded codes or commands. This issue has caught the attention of many developers and tech companies. In relation to this, chip hacks will be more likely to become popular in the long run, and today we will find out why. For a long time, security patches have been done mostly at a software level. The reason is that hacking takes place because of software vulnerabilities. Usually, a software update addresses the problem. Now that firmware and chips are revealed to be much more vulnerable, many tech companies will take advantage of the demand for hardware and firmware patches, and this will become a trend in the distant future. Keep in mind that hardware hacks are multi-platform. Since a single operating system can be used for two or more devices at the same time, controlling two or more devices remotely is not difficult for hackers to do. Moreover, every single version of an operating system can run different hardware devices or computer models. Therefore, a single code that can be embedded in one hardware device can also run another different device. Most security programmers are trained to develop software patches. They are good at detecting a threat ahead of time and at developing an advanced software application to counter the threat. However, most of them are trained to fix software vulnerabilities. Some experts who are able to find remedies for hardware vulnerabilities just happen to have special skills and knowledge like engineers who are also programmers. Because of this, there is a strong demand for security programmers for hardware and firmware vulnerabilities. Even if hardware and firmware have security vulnerabilities, there wouldn’t be a need to spend time doing hardware patches. However, hacking a hardware device is now common, and this reveals more security vulnerabilities at a chip’s level. Nobody wants this problem to spread like wildfire, so developers are looking into countering such problems. Some companies still use software technology to fix some hardware issues, but many companies are now collaborating among one another to reinvent their hardware products. Despite the growing risk of hardware hacking, hardware patches are still less frequent. This makes it more attractive for hackers, and because of such a threat, the need for more frequent software patches is greater. This is why more and more experts are beginning to study the matter. Hacking a particular hardware device is not something new as this activity has been around for quite some time. It has been performed physically by installing chips and other similar firmware devices. However, chips can be hacked not physically but electronically because of the codes embedded in them, which are not less updated or fixed automatically. 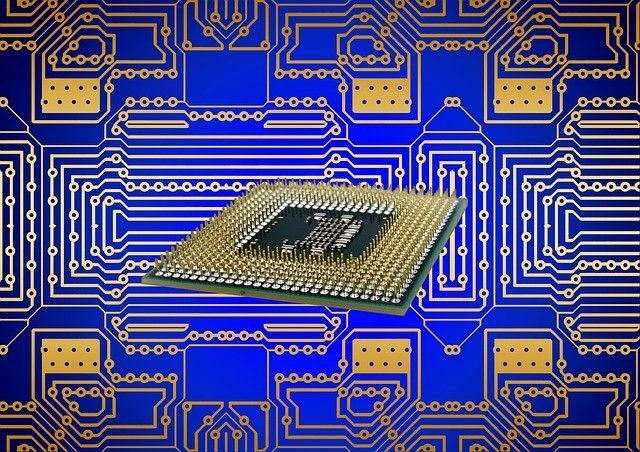 The need for hardware patches will help to make chip hacks to become popular soon.